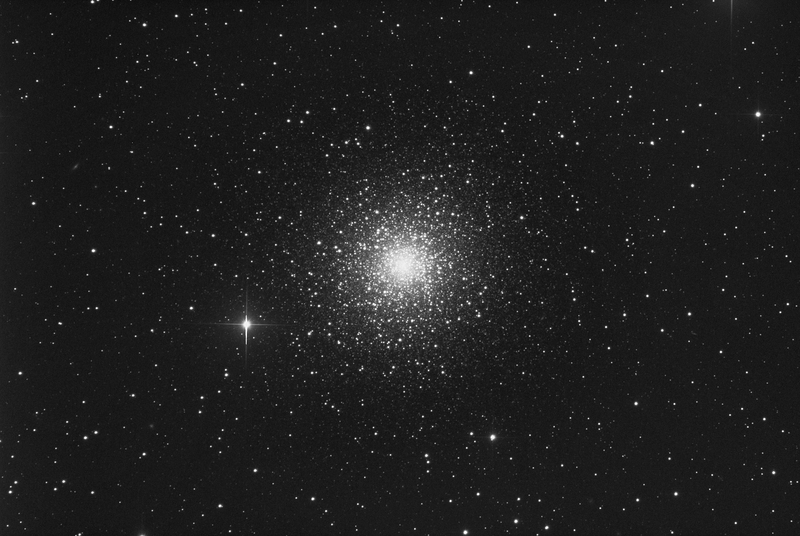 Globular clusters are famous for their high concentration of stars: think of the cosmic void, then meet these regions with up to a million of stars so closely packed together by gravity and you will be amazed by globular clusters! Among the galactic globular clusters Messier 15 is likely the most dense object of that kind and its nucleus undergone a core collapse and the central region is so concentrated that, accordingly to several studies, it could host a black hole. Messier 15 is located at about 33.000 light years from us and was discovered by Jean-Dominique Maraldi in 1746. The image above comes from the average of 17, 120-seconds unfiltered and unguided exposures, remotely taking using the PlaneWave 17″ robotic unit part of the Virtual Telescope.